Building is hot again, especially on vacant lots in established neighborhoods. Jerry Norton tells us how you can make money flipping vacant lots in this FlipNerd.com Expert Tip, a tactic that is far less competitive. Don’t miss it! 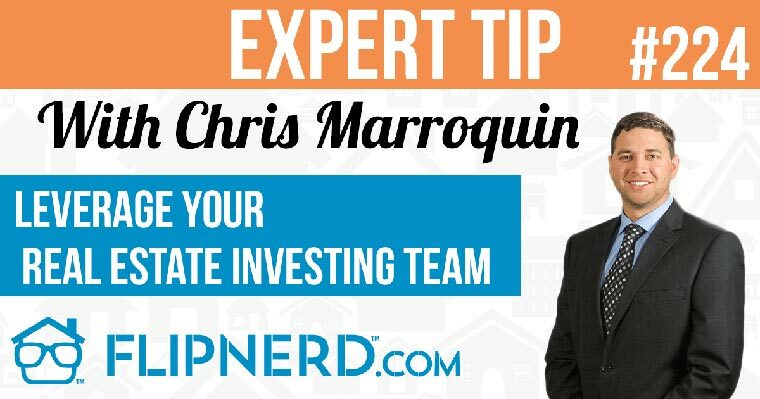 Mike: Hey, it’s Mike Hambright from FlipNerd.com and we have an expert tip to share with you from Jerry Norton who’s going to share a tip about the opportunity of flipping vacant lots. Jerry: All right. So this is a great tip for wholesalers out there who flip houses. Right now the new construction market in most markets is on fire, so what I want you to do is I want you to have your eyes open and start looking at the opportunity to flip lots to builders and investors. What’s weird about flipping lots is there’s really not a whole lot of analysis because there’s no repairs to think about. It’s just a piece of dirt. What’s cool, though, with lots is you can pick up vacant lots on terms really easily. I’ve always been a cash guy. I go in there and lowball with cash. But what I’ve found is a lot of times I can get lots for very little down, and I can get the seller to carry the lot purchase at 7 or 8% over sometimes I will do two years, three years, one year, and what that does is it gives me time. So what I’ll do is I’ll acquire that lot on terms, maybe 10% down. We’re talking a lot of these lots can be anywhere from 50 to 100 to 150,000. You analyze the market. You find where you see new construction going on and you look at what builders are buying lots for. There’s still a lot of opportunity to pick lots up for a great price. So for example, I just flipped a lot, I bought it for $68,000 and I turned around and flipped it for $97,000 cash to a builder. And so the margins on lots can be phenomenal, 20,000, 30,000 on a lot. And people aren’t look at lots as an opportunity to flip. So it’s one of those gems out there, I think, where wholesalers especially that are good at going out and identifying markets and looking for deals, if you’re a cash wholesaler, that’s great. This will work even better because you can go in there and find that desperate land owner. And I when I say lots I’m talking a buildable vacant lot ready to go, not something that needs developed or a ton of work to get it improved. Already improved lots. Jerry: A lot of these are in gated subs that I do this in. I’ll go in there and I’ll just make low offers. I will even pay a little bit more sometimes if I can get it on terms. I’ll carry it sometimes for a few months and I’ll turn around and just flip it and make great money doing it. So that’s my tip for the day. I hope that’s helpful, Mike. Mike: All right. Thanks for sharing, Jerry. Announcer: Thanks for joining us for another FlipNerd.com Expert Tip. To access hundreds of tips and full expert interviews, please visit FlipNerd.com or join us in the iTunes store. We’d like to thank our sponsors, RealtyMogul.com and National Real Estate Insurance Group.